Handler Sales Carousel Turning Again? Airport ground handling companies have always been a source of speculation as far as present and possible new ownership is concerned. The consolidation process among ground handlers has been in effect for some years, whereby quite a number of smaller companies have disappeared and others have joined forces. 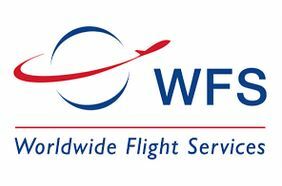 Worldwide Flight Services (WFS), the Paris-based passenger, ground, aircraft and cargo handler changed hands in 2015 and it seems that the process is repeating itself very soon. It certainly looks that way as financial market information, which was noted by the renowned analyst Mergermarket, who have over 60 locations around the globe, shows that there is a so called ‘auction’ running for the purchase of WFS from U.S.-based Platinum Equity who took over the company at the end of 2015 from LBO France, another equity set-up. Sources state that the process is being guided through Merrill Lynch whom it is said are providing a 5.5 to 5.75 financing picture which is based on a WFS EBITDA picture of around €130 million. It remains to be seen whether the EBITDA picture is realistic and ties in with WFS’ actual earnings and EBITDA generated in 2017. It seems that some financial sources are questioning the €130 million EBITDA, which by the way also includes the acquisition in 2016 of Consolidated Aviation Services (CAS), a large U.S.-based air cargo handler. The figure may well be too high and an adjustment may be insisted upon by those bidders who come into the final selection. The next new owner just around the corner? Who’s in the bidding at the moment? News is that only around 15-20 potential companies were originally approached and that after the second round of negotiations started in early May, that this list has reduced considerably to just a handful. Most of these it is said are well known equity or trade companies, one of which is said to be Swissport. Large U.S.-based equity houses such as Cerberus, Centerbridge and Apollo are said to be on top of the list as well as Carlyle and Brookfield. It is interesting to note that most of the above mentioned have no real large investments in aviation related companies. One exception being Apollo, who have holdings in CEVA Logistics as well as various Cruise Lines. If the above were to be true then one wonders what makes them so interested in acquiring Worldwide Flight Services at a price way above that what Equity paid in 2016. At that time, it was somewhere in the region of €300 million. One has however to take into account that today's value is definitely somewhat higher, as the price paid when WFS acquired CAS in early March of 2016, would have most likely doubled the value of WFS as it stands today. Swissport and Worldwide Flight Services as one company? The same sources state that Swissport which along with WFS, also lays the claim to being the world’s largest airport ground handler, is also on the list of bidders for WFS. An interesting speculation as Swissport is owned by the cash strapped Chinese HNA Group of companies which earlier said they would sell Swissport, but in the meantime have pulled back. Is there a real interest here? 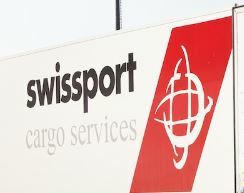 Both Swissport and WFS operate in most corners of the globe in the airport passenger and cargo handling scene as well as offering airport ground services. Their combined portfolio of customers is very impressive and both surely have certain parts of their businesses which they’d either like to get rid of or best case, combine with others. Would regulatory bodies allow such a move? Who knows! HNA’s decision to pull back on selling Swissport was said by them to be because of present market conditions. Strange, as the market conditions are quite stable at the moment. If such a move were to come about and be condoned, then there are quite some combined synergies to be gained. These could range from cost reductions in manpower by combining forces and splitting up market areas, as well as joint sales strategies, which would give them basically the total upper hand in the airport handling scene. WFS and Swissport both claim the top handler ranking. If they were to join then there would be no denying that point. However, HNA don’t seem to have the financial means at the moment to take over WFS. But what about if one or the other equity houses were to come in with a joint bid? Speculation? Maybe very well so, but one thing is for sure, WFS is back on the sales carousel. Has now come back into operation in 2015 and has a major handling contract in terminal 2 now the question is how in the hell where they allowed to renew there ground handling operation licence . Many years ago but this has just been a rumour. But on the other hand if british airways do decide to turn there ground handling operation to a 3rd party then I could only think of menzies aviation. Very interesting article on WFS. Spot on re HNA/Swissport, and yes, why would another private equity outfit think it can do even better at squeezing out more profit. Yes if they want to join forces then both cargo companies need to change there names in the merger . Both companies have a bad reputation at heathrow .